With the introduction of PAYE Modernisation, the employer P30 return will be discontinued with effect from 1st January 2019. 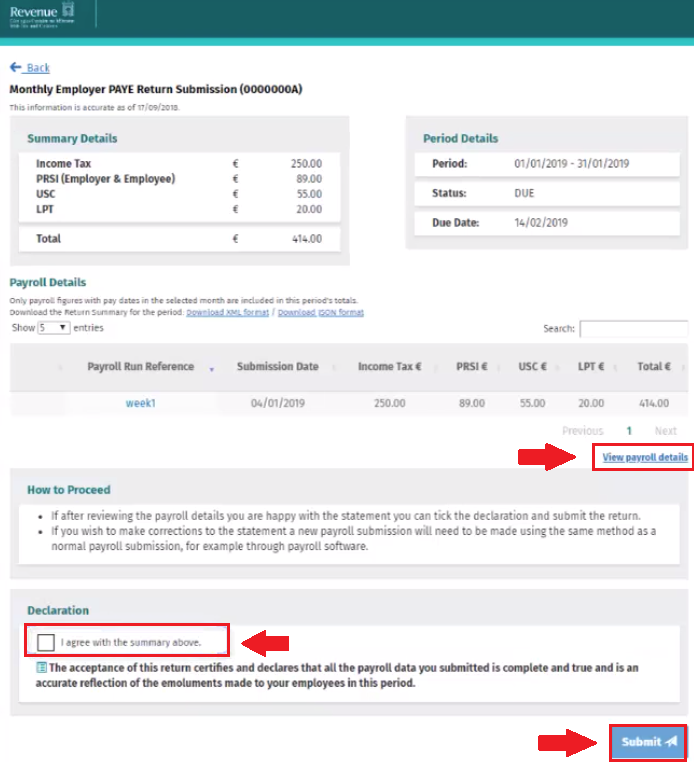 Revenue will instead issue you with a monthly statement based on the periodic payroll submissions you have made within the tax month in question. This statement of account will be available to view within your ROS account by the fifth day of the following month. 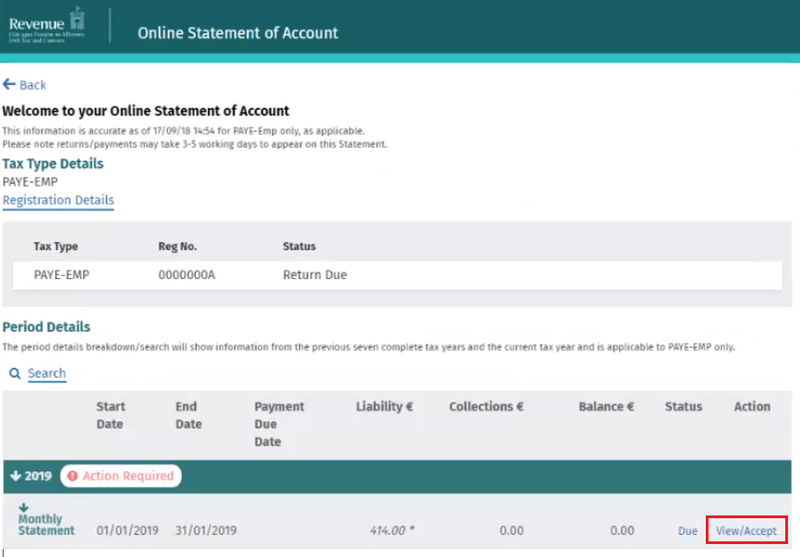 The monthly statement will show a summary of the total liability due, as well as the individual breakdown of your liability for income tax, USC, PRSI and LPT.